Berry asks Hamrick to do something about the water, which is too muddy to drink. 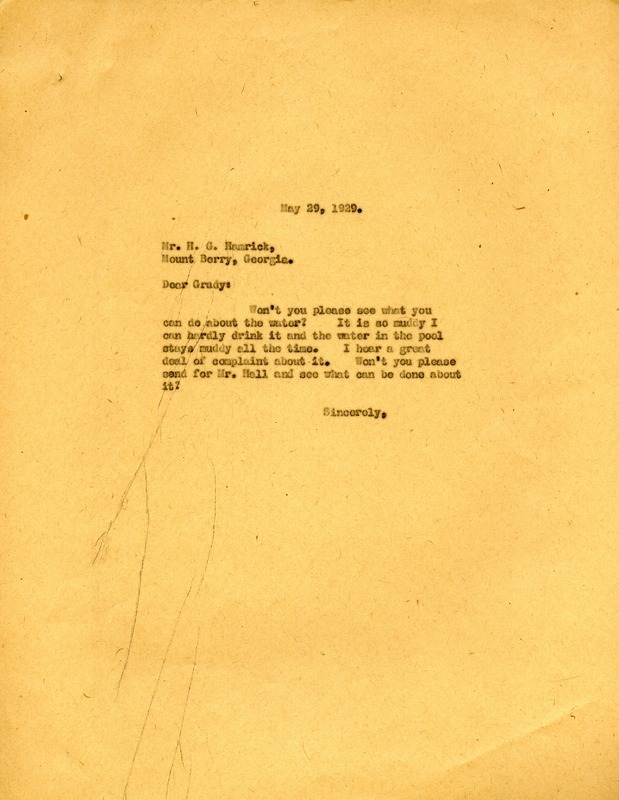 Martha Berry, “Letter from Martha Berry to Henry Grady Hamrick.” Martha Berry Digital Archive. Eds. Schlitz, Stephanie A., Sherre Harrington, et al. Mount Berry: Berry College, 2012. accessed April 21, 2019, https://mbda.berry.edu/items/show/10204.